The American Zionist Movement is launching a new postcard campaign calling on United Nations representatives from Lebanon, Syria and Iran to produce a sign of life from abducted Israeli soldiers Ehud Goldwasser and Eldad Regev. These men were captured by Hezbollah terrorists on Israel’s northern border in July 2006, more than one year ago. Over the last year, there has been no word from or about the soldiers concerning their location, physical condition, or mental state, nor has any material progress been made towards bringing them home. By appealing to representatives of Lebanon, Syria, and Iran to provide information on the soldiers, AZM’s new campaign shows a commitment to exhaust all options on behalf of these men and never give up on restoring them to their families and country.  This is a further extension of AZM’s ongoing campaign since the 1980s to bring home all of Israel’s abducted and missing soldiers. In addition to calling for a sign of life, AZM’s postcards express outrage over the terrorists’ clear violations of international law, including UN resolution 1701, which calls for the soldiers’ unconditional release, and the Geneva conventions, which stipulate that prisoners have the right to treatment by the International Red Cross and communication with their families. The campaign also expresses concern for Israeli soldier Gilad Shalit, who was kidnapped by Hamas in June 2006 from the Kerem Shalom crossing in Israel near the Gaza Strip. Though a video was recently made available in which Shalit states that he is severely injured, he is still denied access to Red Cross treatment. He remains in captivity, forbidden even to exercise his right to write letters to his family. AZM also seeks information about missing Israeli soldiers Ron Arad, captured in 1986 after his plane was shot down, and Yehuda Katz, Zachary Baumel, and Tzvi Feldman, missing-in-action since 1982. The postcards are available for order from the AZM and can be distributed at schools, rallies, synagogues, youth movements, JCCs, Hillels, and many other locations and events. The postcards and other campaign materials on behalf of the kidnapped soldiers can be viewed and ordered here. For more information or to order the postcards and other advocacy tools, please call AZM at 212-318-6100.